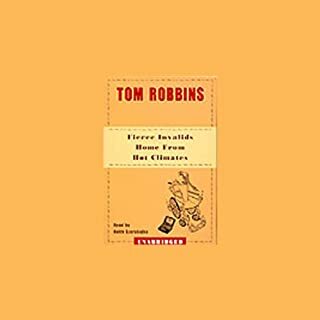 In Fierce Invalids Home from Hot Climates, the wise, witty, always gutsy Tom Robbins brings onstage the most complex and compelling character he has ever created. But to describe a Robbins plot does not begin to describe a Robbins novel - you must hear it for yourself! As good no even better than expected if not slightly look over your shoulder ish!